Cason was part of the LSU team that went 9-1-1 in 1946 and appeared in the Cotton Bowl, and was chosen by the 49ers in the third round of the 1948 AAFC draft (he was also picked by the Chicago Cardinals in the seventh round of the corresponding NFL draft). He gained 245 yards from scrimmage and scored three touchdowns as a rookie on offense, averaged 14.0 yards on 22 punt returns and 21.2 yards returning kickoffs, and intercepted five passes on defense. 49ers went 9-3 to finish second in the AAFC while leading the league in interceptions (32) and fewest yards allowed (3313). Won AAFC First Round playoff over New York Yankees (17-7). Lost AAFC Championship to Cleveland Browns (21-7). Cason moved on to the NFL with the 49ers in 1950 and was chosen to the Pro Bowl in ’51 after intercepting eight passes, one of which he returned for a TD. 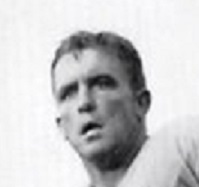 The versatile halfback also caught 30 passes for 374 yards in 1950. Cason spent the 1953 season in Canada with Saskatchewan but returned to the 49ers in ’54 and was chosen to another Pro Bowl. He was traded to the Rams in 1955 and spent his last two seasons with them, playing defensive halfback and intercepting nine passes. Over the course of eight years with the 49ers and Rams, he accumulated 34 interceptions, two of which he returned for TDs, with 25 occurring with San Francisco, 14 while in the AAFC. Cason also rushed for 351 yards and four TDs, caught 40 passes for 519 yards and another four scores, returned 67 punts for a 14.1-yard average and 33 kickoffs for an average of 21.3 yards. He was chosen to two Pro Bowls. Cason was an assistant coach for the Denver Broncos in their inaugural 1960 season.